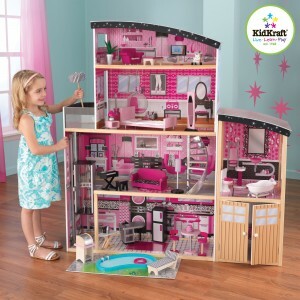 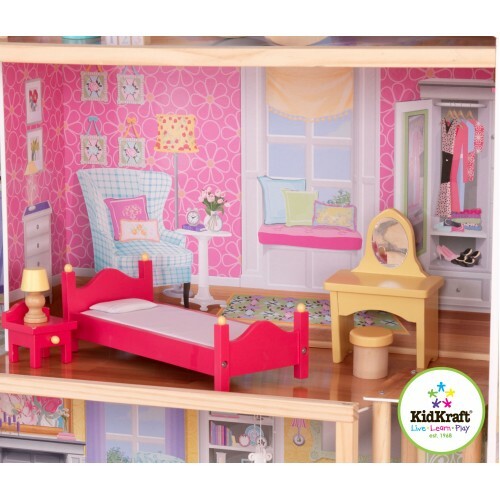 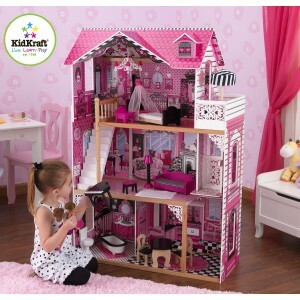 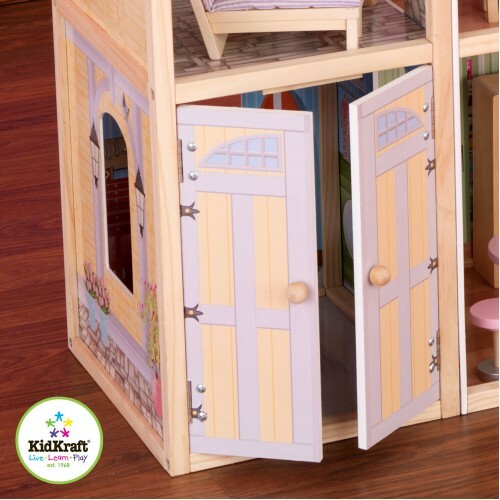 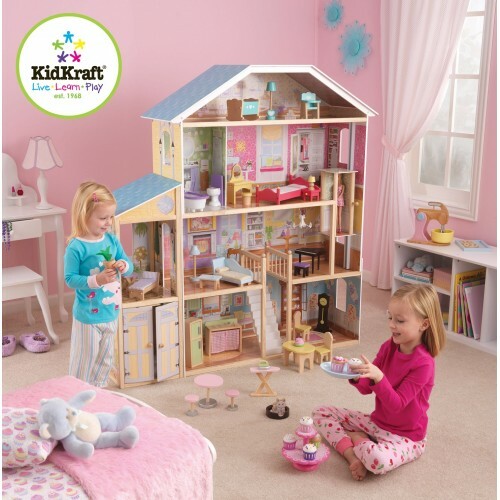 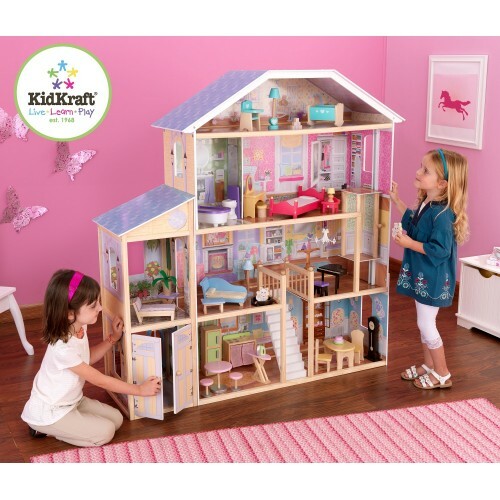 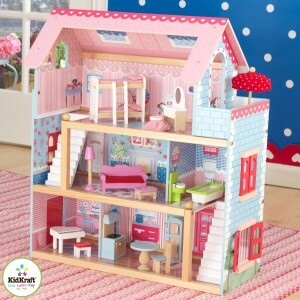 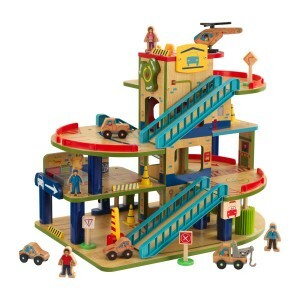 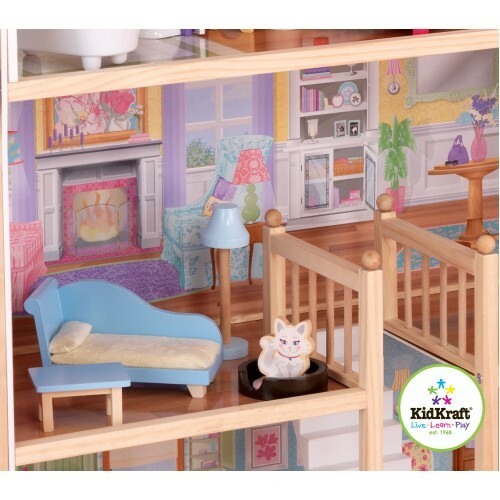 A huge wooden dollhouse the Kidkraft Majestic Mansion is every little girls dream. 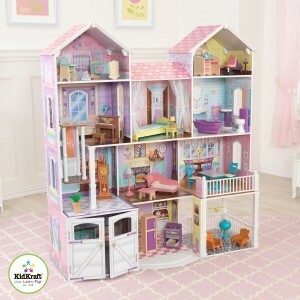 Big enough to house all their dolls and room for more then one child to play with at once. 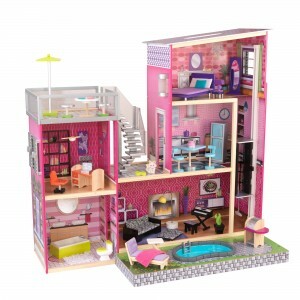 This dollhouse features a massive 8 rooms over 4 floors including a garage with doors and a patio area. 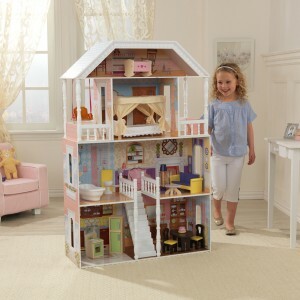 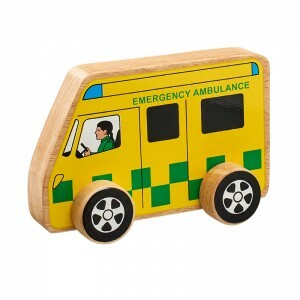 A lift to get the dolls from the first to the third floor, stairs from the ground floor to the fist floor. 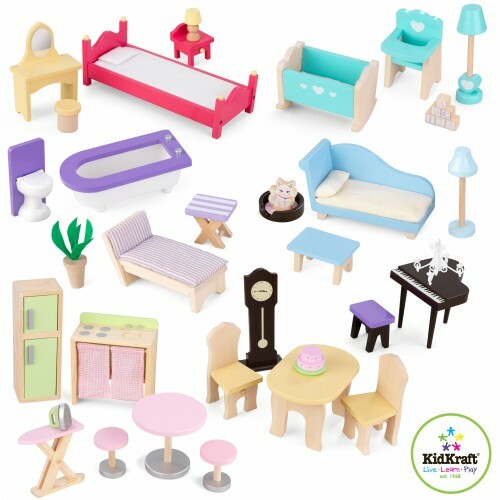 Comes complete with 35 pieces of furniture and accessories including bed, sofa, dining table, even a ironing board and kitten!